On Monday we went to Kobe, it’s near Osaka and it’s an awfully nice place! We only had a day there but it was one of those places I just felt like moving to. When I was younger I didn’t know how to cope with feelings like this. I’d go someplace, get obsessed with it then get really upset that I didn’t live there. I’d pick up all kinds of flyers for events I couldn’t go to and then look at them sadly when I got home, So ideally I’d like to live in one of the cities I’ve had some kind of obsession with one day! 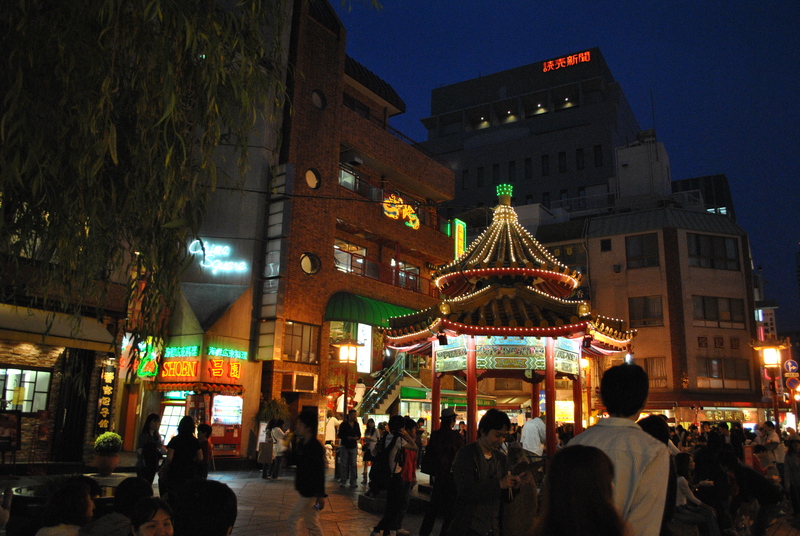 Anyway..Kobe is a lovely city, by the sea, very multicultural and full of really interesting cool buildings. We went to the Kitano district which is full of old foreign merchant houses. It’s built on a slope so the hills combined with the relentless sun made me feel pretty faint! I know, pathetic, it’s hardly a big mountain..but I don’t like really hot weather! I should of course have bought a parasol but I just kept forgetting. Shame it’s a hotel, not flats! Not sure whether these are particularly representative of the trip but never mind, I think they’re pretty! After Kitano we headed to the port area, passing through some kind of flower festival on the way. The harbour reminded me of how much I miss living by the sea..